Down Under in One Week! We actually leave one week from yesterday, but we arrive one week from tomorrow. That whole other-side-of-the-world thing is really confusing. When we come home, we leave at 9am and arrive at 6am the same day. I think we actually get younger by going on this trip. 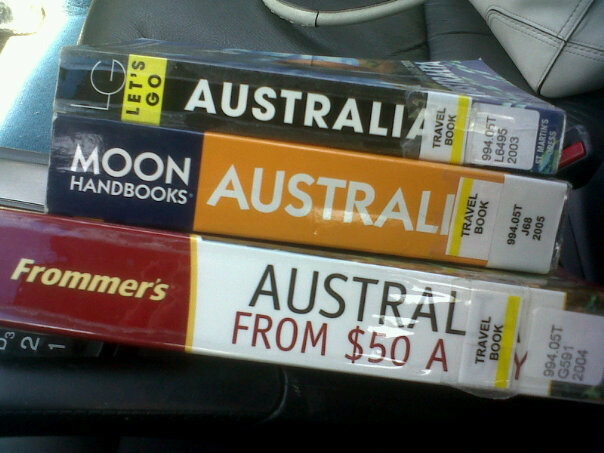 Last weekend, I went to our local library and checked out every Australia travel book they had. The earliest edition is 2005, but I just wanted to read about the major attractions and anything that hasn’t been around since 2005 is probably not worth spending money on, right? After browsing the Sydney sections of all three books, I liked Frommer’s Australia From $50 A Day the best. It seemed to give very honest information about how to get the biggest bang for your buck, and hey, that is what we’re all about! 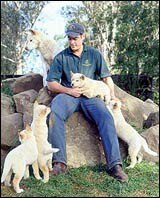 Frommer’s claims that this is the best place to see native animals up close and personal. It gives it two stars, the highest rating in the book, and believe me, they use those stars sparingly. At only $23 Australian (weaker than US, yay! ), this is definitely in our budget and something I can’t wait to experience! 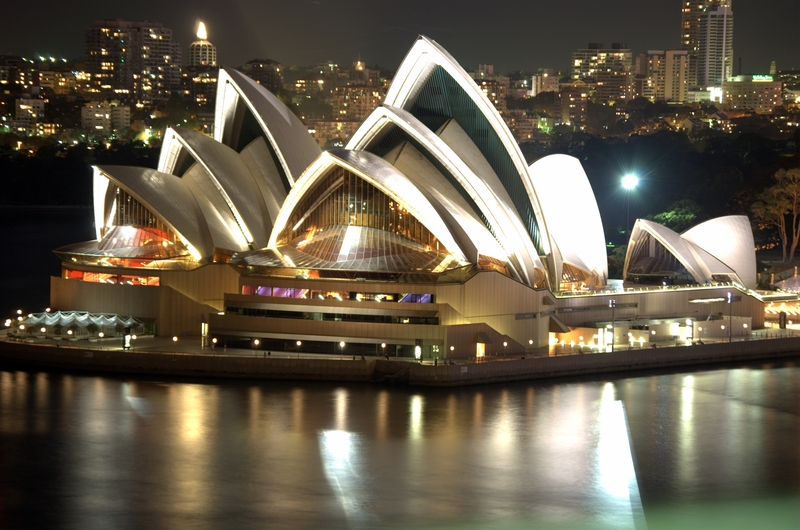 This seems to be on everyone’s must see list when visiting Sydney. 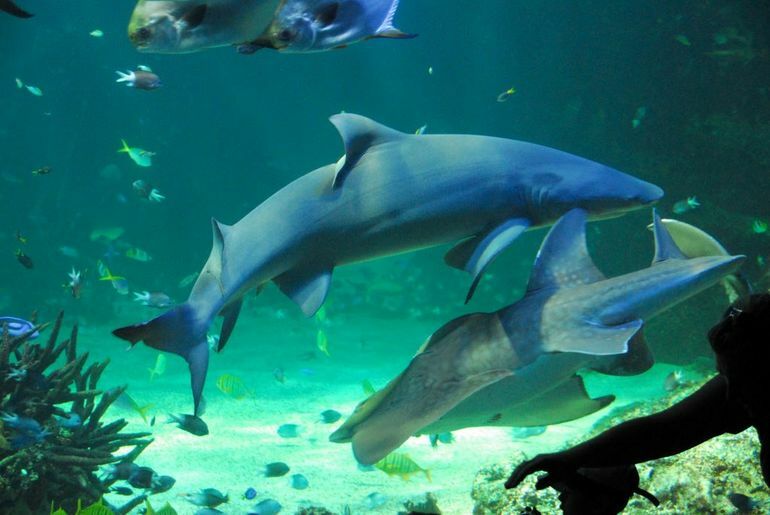 I love looking at sharks… behind the glass. Frommer’s recommends Oztrek Tours because they have options for hikers and those who would rather take it more slowly. 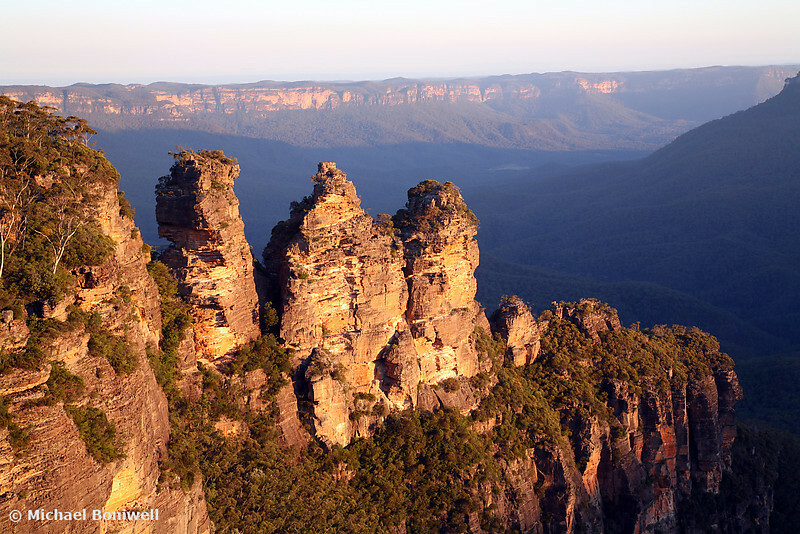 Included in their tour is a visit to the 2000 Olympic site, a waterfall, and a visit to the famous “Three Sisters” pictured above. While we are visiting during Australia’s winter and missing out on the typical beach season, we will be there right in the middle of the humpback whale migration! One company that seems to give a great whale-watching tour on a budget is Imagine Cruises out of Port Stephens. This iconic symbol of Australia is something I’m sure we’ll see many times from the outside, but I’ve love to experience it from the inside as well. I noticed that the hit Broadway show “A Little Night Music” will be at the Opera House during our trip, so I asked my husband if he wanted to go. At first, he wasn’t into it, big surprise, but when he saw that Sigrid Thorton was starring in it, someone he has worked with before, he decided we should try to make it happen (and maybe even get backstage!). Some other popular attractions are the Harbor Bridge Climb ($200-300) and Sydney Tower Skywalk ($65), but from what I’ve read, they are over-priced tourist traps. I’m not into heights anyway, so it is easy for me to skip these pricey activities. While I’m sure I’ll be visiting museums, parks, botanical gardens, and of course, shopping centers while my husband is working, these five things are at the top of the list for experiences we want to have together. Unfortunately, that means we have to go on the weekends and fight the crowds, but we’re hoping the cooler weather will mean less tourists. Which of these activities would be at the top of your list? Are you a dare-devil or scaredy-cat like me? I'm a scaredy cat as well. The wild life place looks really cool and the aquarium! You are going to have so much fun i am so jealous!! I'm definitely all about playing it safe. Whale watching sounds right about my speed. Still kind of going out, but it a nice, big, safe boat.